Yet I have to agree, they need a re-do and a price adjustment. Remember when a roll lasted a week? By the way, are you an ad exec with spare time? Fess up! I know the office door is shut, the secretary has been told to hold all calls, and you’re writing your daily bits of wisdom to the world. Haha, nope, no ad exec here, just someone who hopes to make people chuckle. I do thank you though, I love writing and sharing these posts and attempts at goofy wit. So when I receive kind words and feedback (such as yours), it really means a lot, and makes me happy to keep doing it. Thanks for stopping by my mini-world. This post was fun. I have to laugh for another reason too. Recently a photographer friend of mine posted his picture of a bear in mid-poop (so to speak), The bear had some kind of weird face thing going on, so funny. 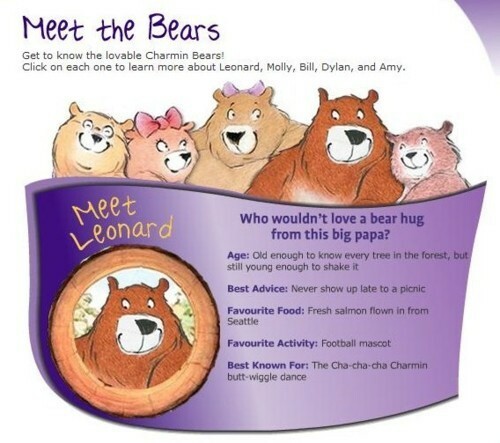 But – definitely no Charmin to be seen. Thanks very much for reading, I’m very glad you enjoyed! Haha! That’s a great story. 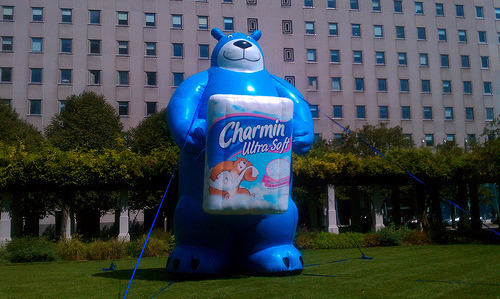 I think you should send Charmin that poopin’ bear photo, maybe they’ll rethink the whole campaign. 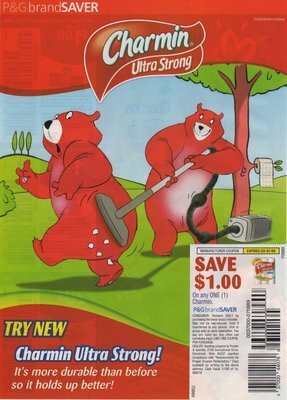 Unless the bears were just using ultra-soft, extra-quilted Scott Tissue and were hiding it out of view. 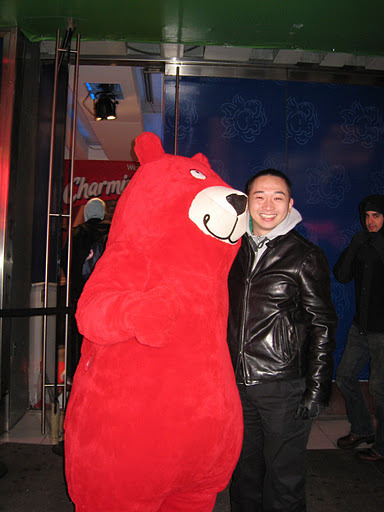 P.S.- I really enjoyed your blog as well. I look forward to following! 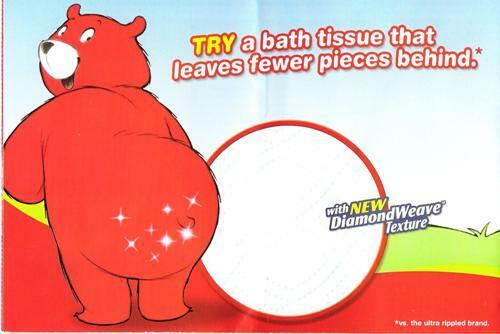 Your country has a much higher standard for awful bum wiping commercials. I applaud your voting it off tv! 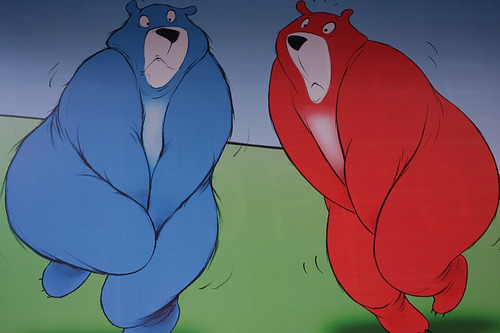 We are still stuck with these goofy bears for nearly a decade now. It’s made the 21st Century quite challenging. Where’s Mr. Whipple when you need him? Haha! 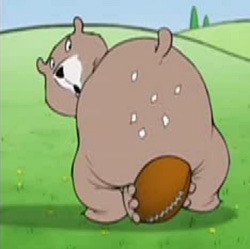 That guy could show those bears a thing or two! I think that might be the first Mr. Whipple reference anyone’s made in 25 years! Nice! 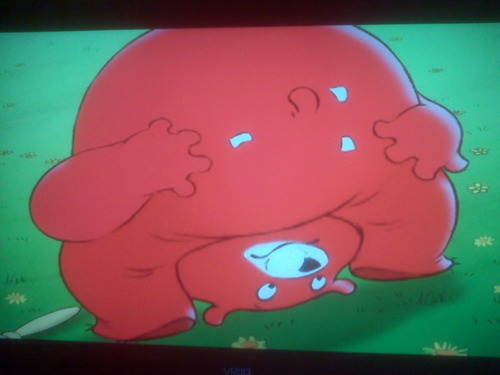 Does the recent commercial really show the boy kid bear peeping into someone’s bathroom using binoculars? Cute butts. Cute butte (booty). Tryin to get to you and that booty. Haha put their butts on glass. And why are they sometimes blue and sometimes red?